Can You Dispute an Implied Contract? Implied contracts are still considered legal agreements between two people. But, these agreements are not written down. So, if a dispute arises, how is an implied contract handled? An implied contract is an agreement that is formed between two parties based on their behavior. This behavior shows that both intend to enter into the agreement and even if there was no obvious offer or even a verbal agreement, it could be still implied there was one. Can You Breach What Was Not Actually Written? In the legal sector, yes. Breaches of agreements do not have to be listed explicitly in a contract to be valid. Any type of violation of an agreement or obligation is a breach of contract; therefore, an implied contract could be breached. An implied contract often occurs between employers and employees, but there are other instances where these types of contracts may exist. To prove that someone breached your implied contract, you would have to gather evidence and then show that they failed to fulfill their obligated promises. These obligations do not have to be part of an agreement, but more so the expected behavior of each party. In the employment sector, this could include an employer giving an employee a great performance review and even a raise, which suggests that the employee is doing great and their at-will employment status is not at risk. Then, terminating that employee for no reason may be constituted as a breach of the implied contract. For business owners, it is important to realize that oral contracts and implied agreements are enforceable; therefore, you should never breach a contract simply because it is not written down. That being said, there are certain contracts that must be in writing in order for them to be enforced. These types of contracts can include debts, sale of land, sale of goods, and other services that fall over a specific dollar amount. While a contract doesn’t have to be written down, it is good business to write everything down that you agree to with any party and never enter into an implied contract. 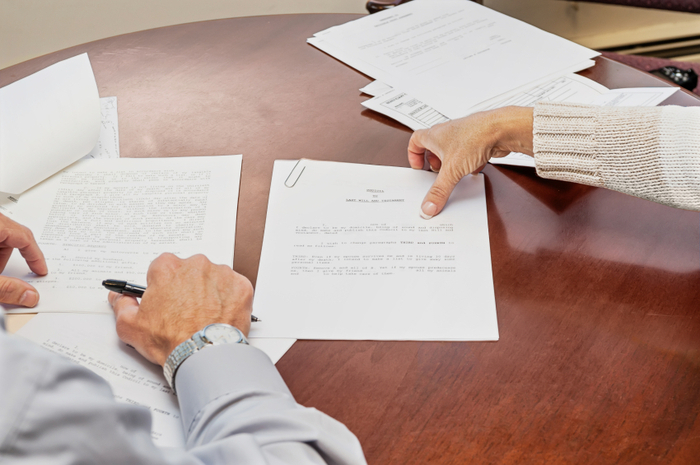 If you are being sued or have a dispute regarding a contract, hire the contract resolution specialists at the Law Office of Kelley & Fulton today or call us at (561) 491-1200. We can assist you with your contract dispute issues, including oral or implied contracts.